Just a quick post this week. I’m on vacation and not spending a while lot of time in front of the computer, but that’s where I post from, so… This post is both late and brief! 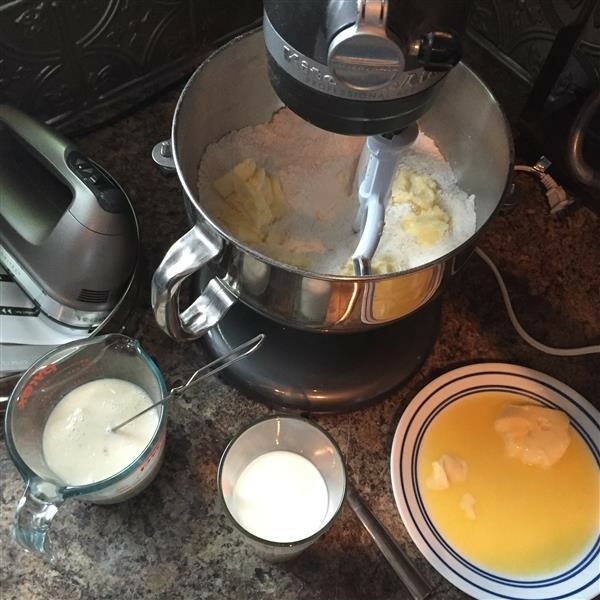 I’ve gotten so used to Rose’s method for butter cakes that I’m not sure I remember what the “normal” process is. For Rose’s method, you mix the dry ingredients with the (softened, not intentionally melted) butter and some of the liquid, beat for a minute and a half, then add the rest of the liquid and eggs in 3 steps, beating in between. 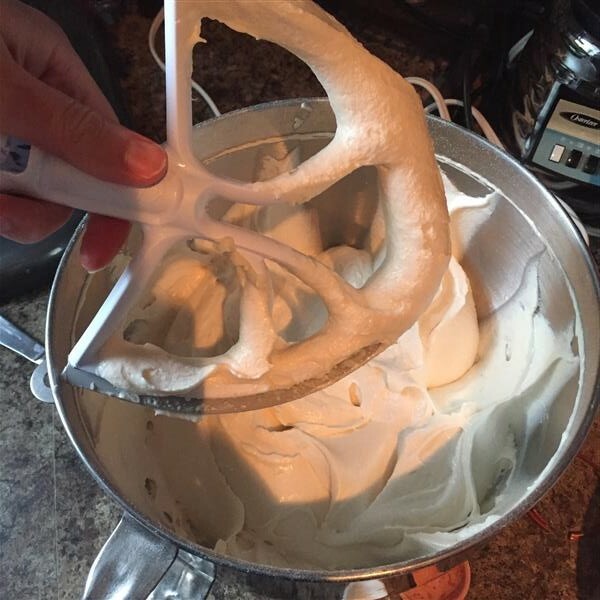 The batter comes out super fluffy, and in this case – absolutely delicious. 😉 I missed photographing the rest of the process, which involved a white chocolate custard being added to butter to make one of my favourite buttercreams. I think the only one I like better is Rose’s one with both white chocolate and cream cheese. Split the cake layers, add the frosting, sprinkle on some crushed candy canes, and we’re done. I made this cake on Sunday afternoon, and when it was finished, I looked at it and said to myself, “Now what?” I wasn’t going to work the next day, so I couldn’t get rid of it there, and we still have something like 4 (partial) batches of fudge, some bourbon pecan truffles, and probably several other sweets I’m forgetting about, in the house. So, we had a piece each, and I put the rest in the fridge. I briefly considered broadcasting a “drop in for cake and tea” message to my friends, but decided that tidying the house was going to be too much like work. I think I’ll take it a new year’s eve party. I really like this cake, but there’s just too much other yummy stuff in the house for us to make a big dent in such a big cake on our own. If you’re reading this, and you’re in the area… feel free to drop in tomorrow afternoon for white chocolate peppermint cake. I don’t promise a tidy house, but there might be other treats laying around, too!